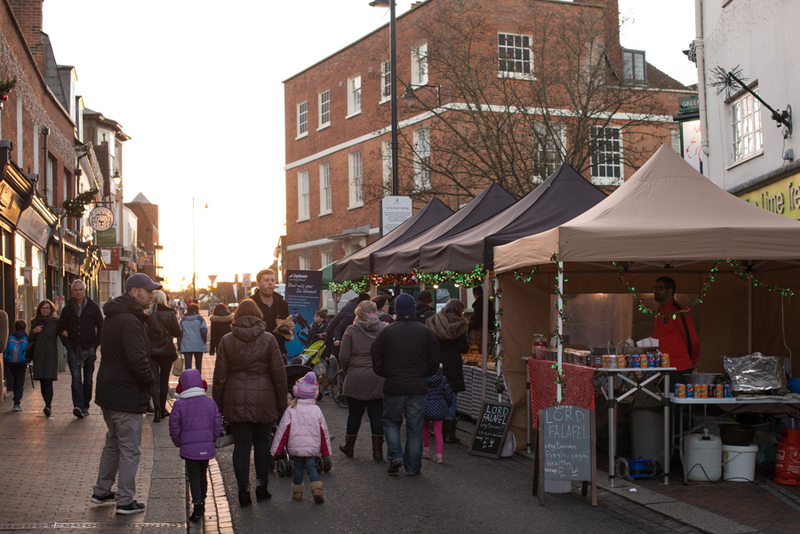 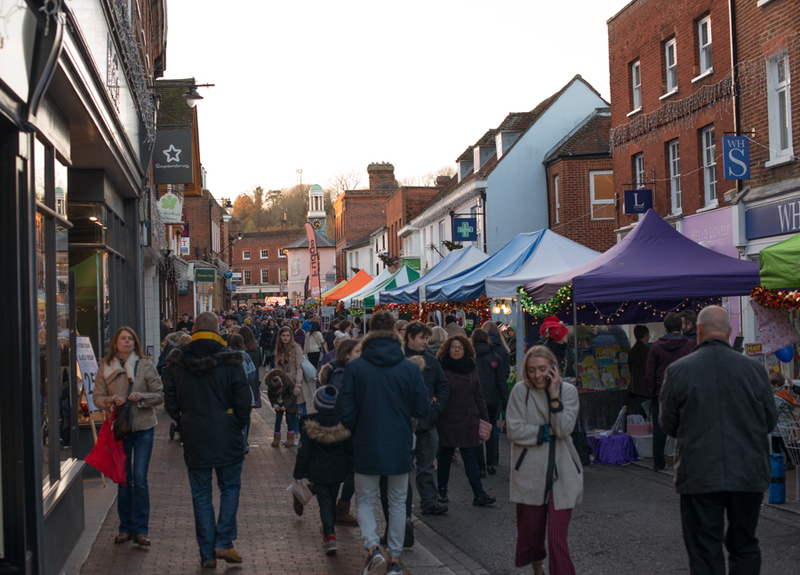 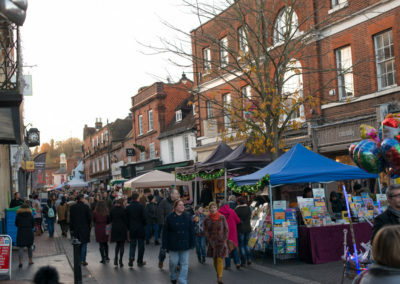 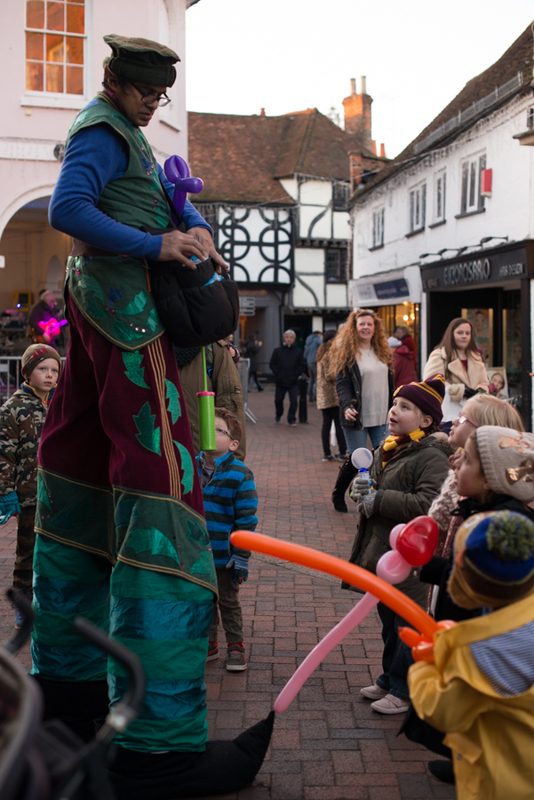 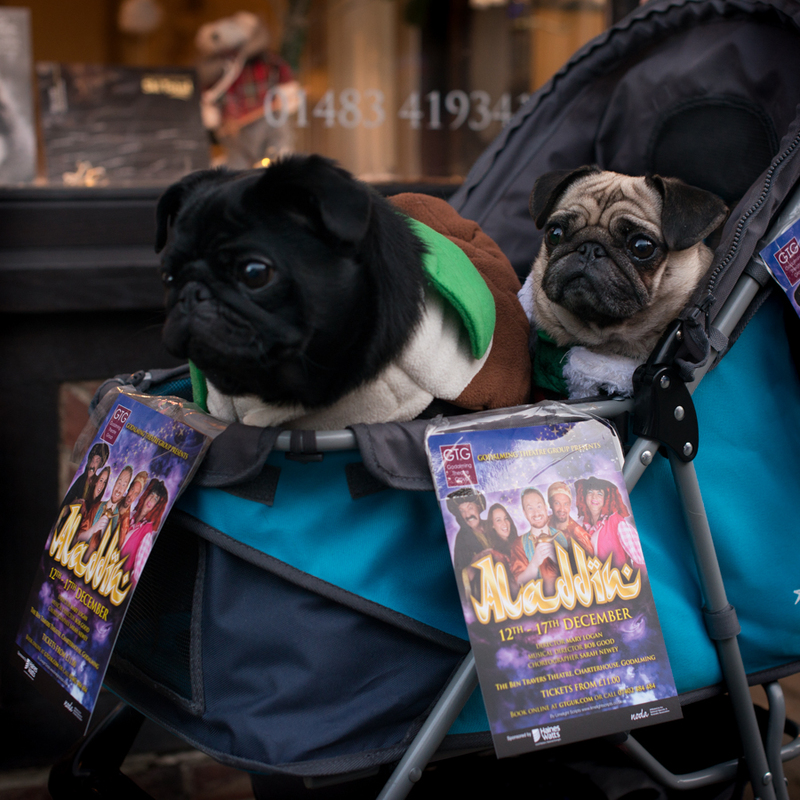 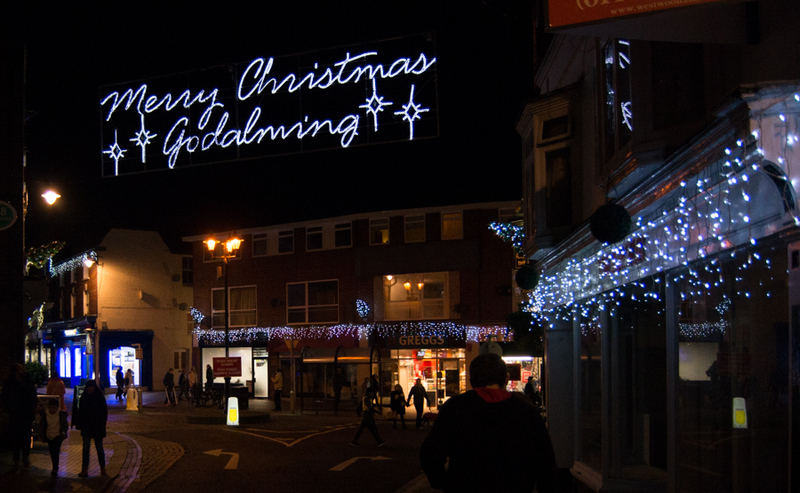 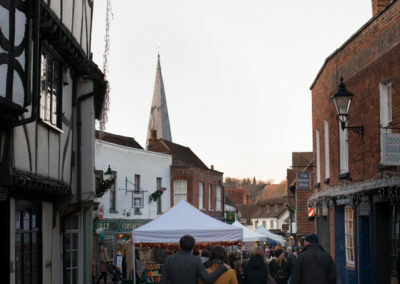 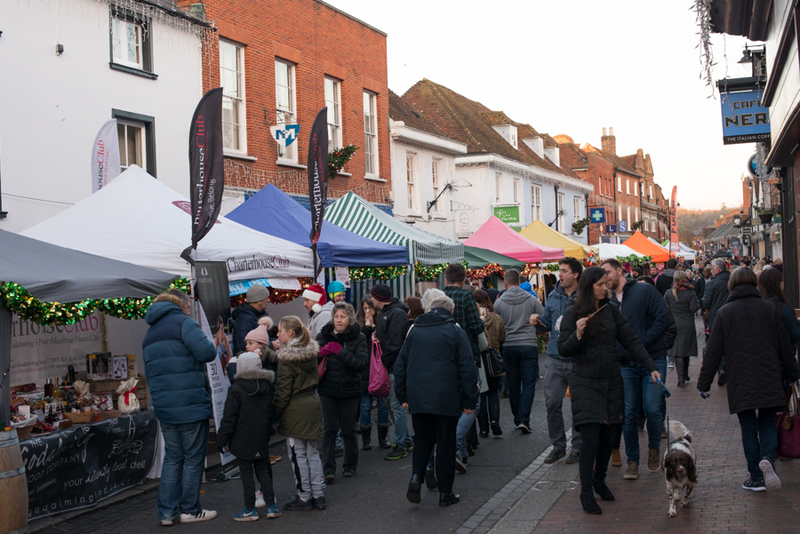 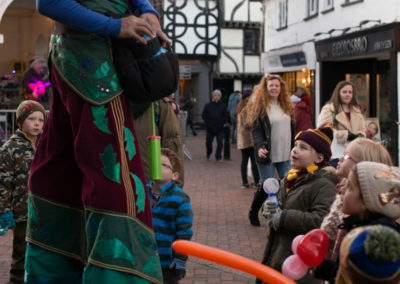 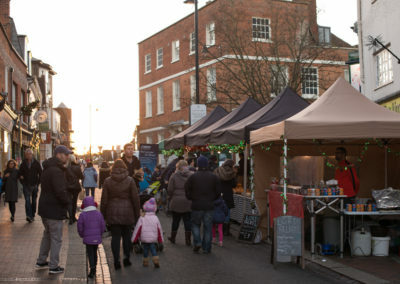 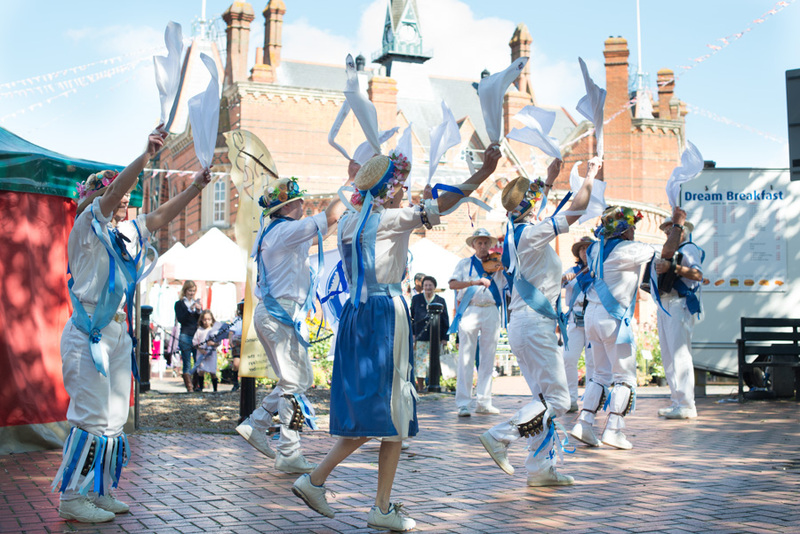 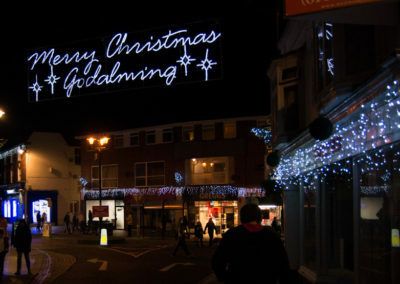 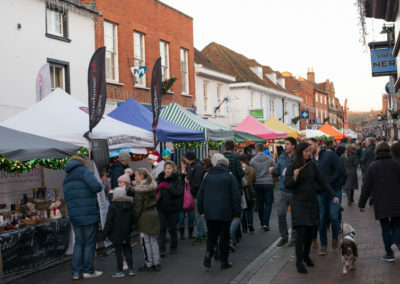 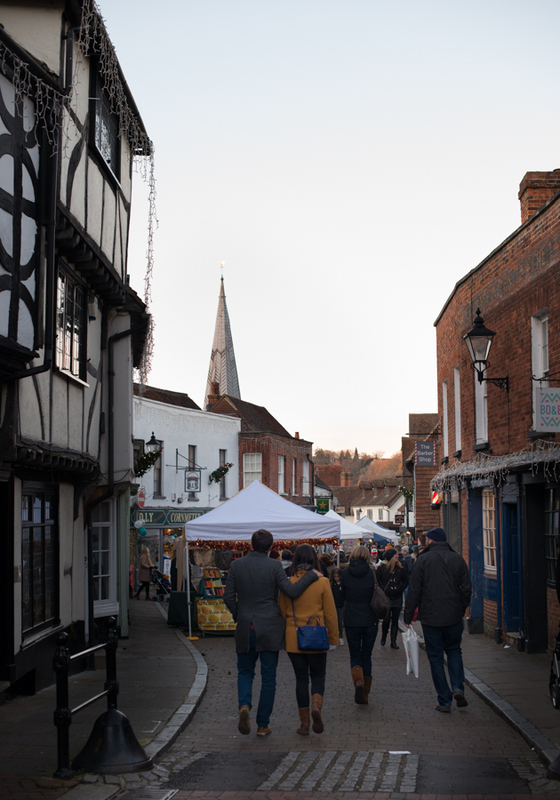 Godalming was full of Christmas spirit and loads of people showed up for a wonderful market and switch on the lights on this sunny but very cold day. 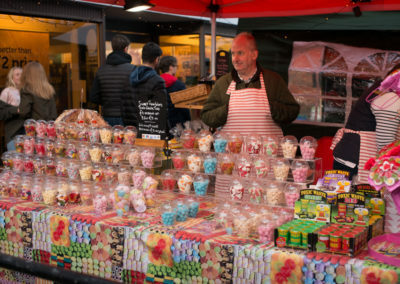 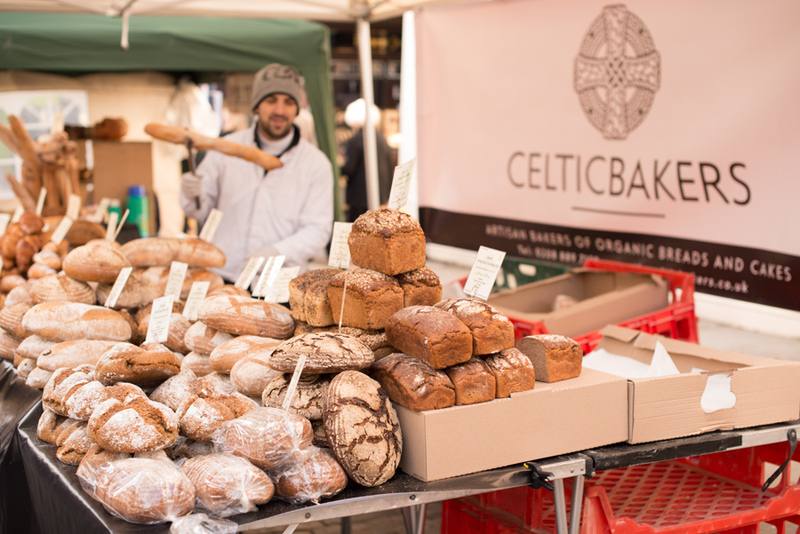 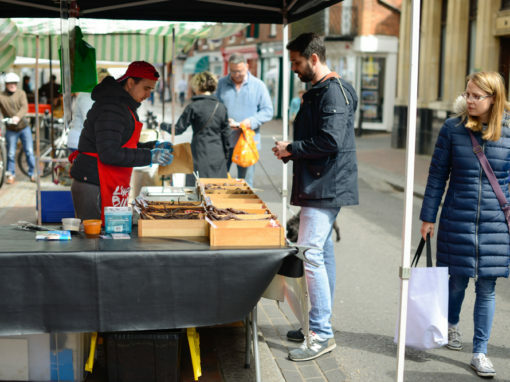 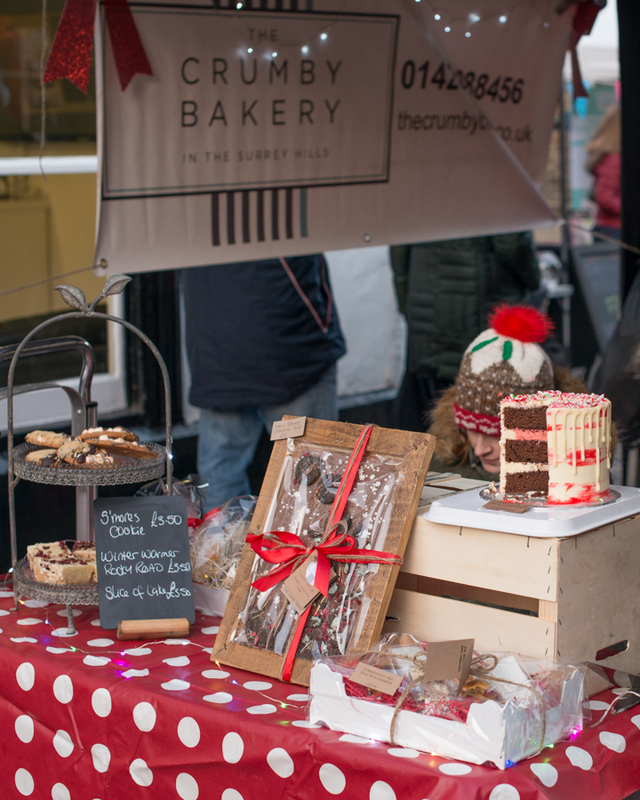 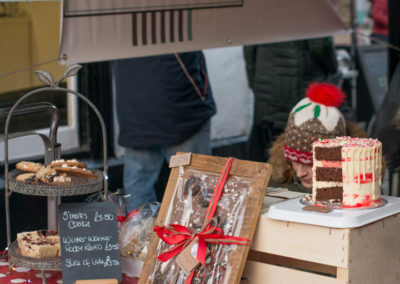 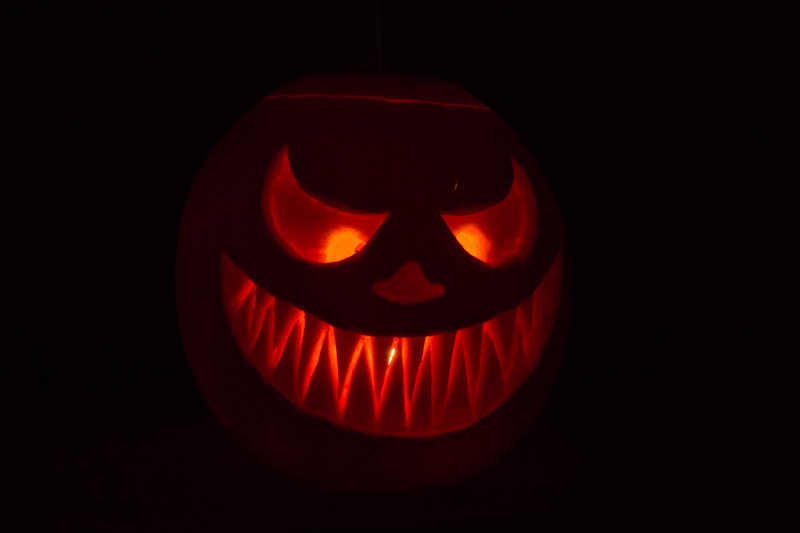 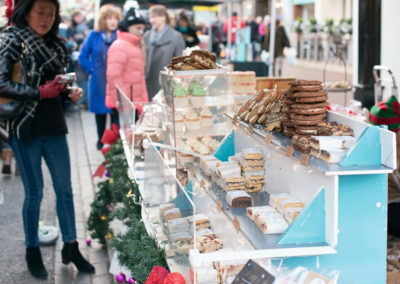 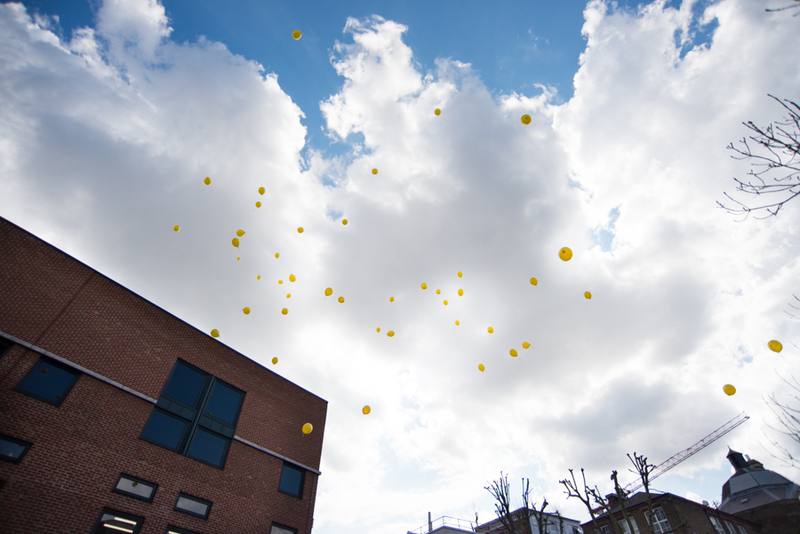 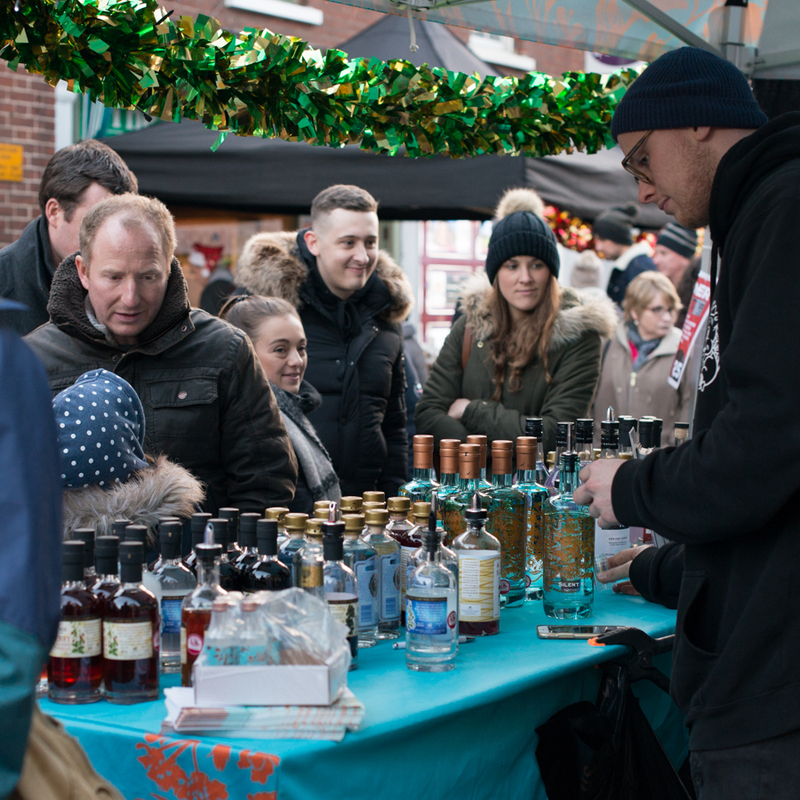 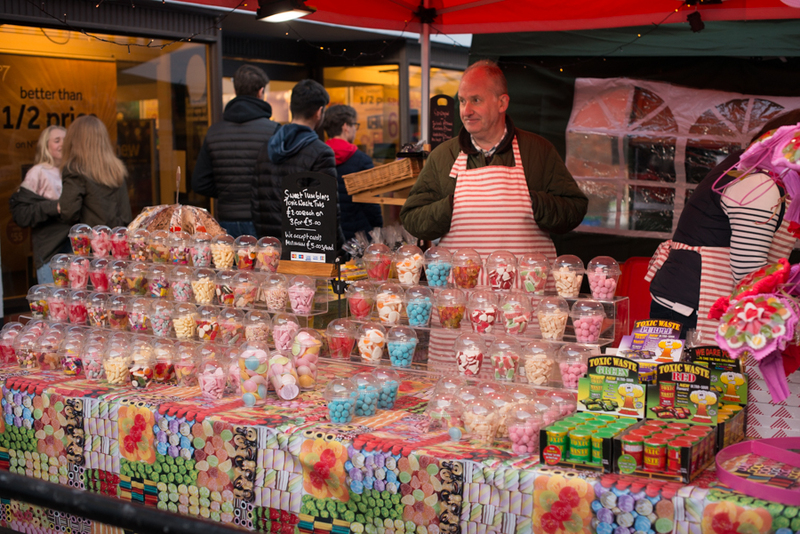 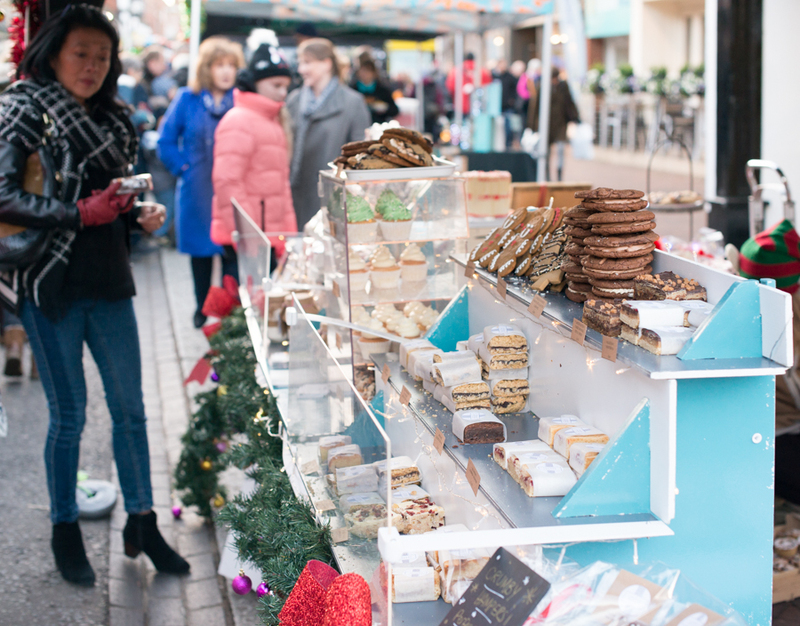 It all started with annual Christmas market with wonderful local products from cupcakes to sweets. 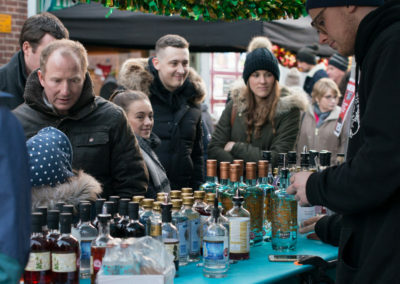 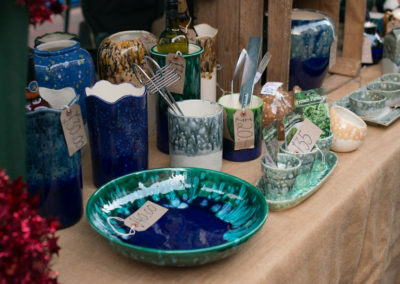 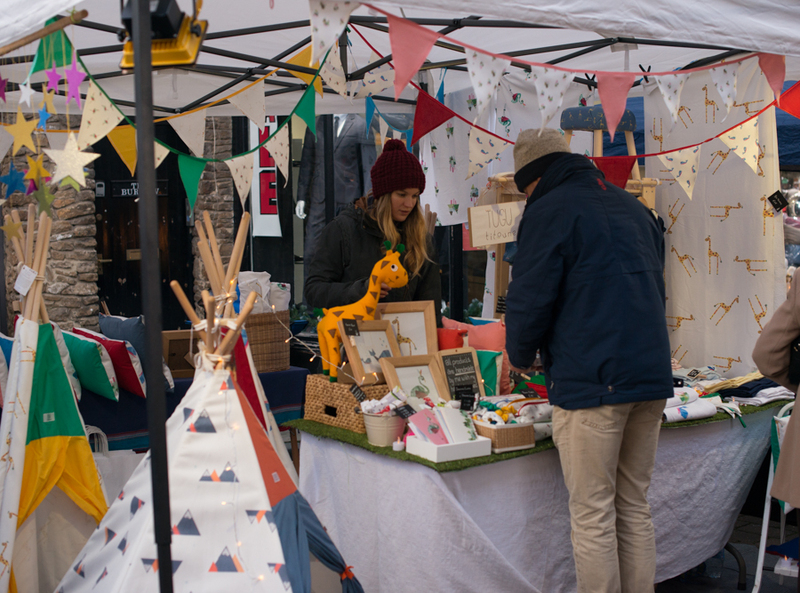 Stalls with lovely and perfect to buy Christmas presents for all the family. 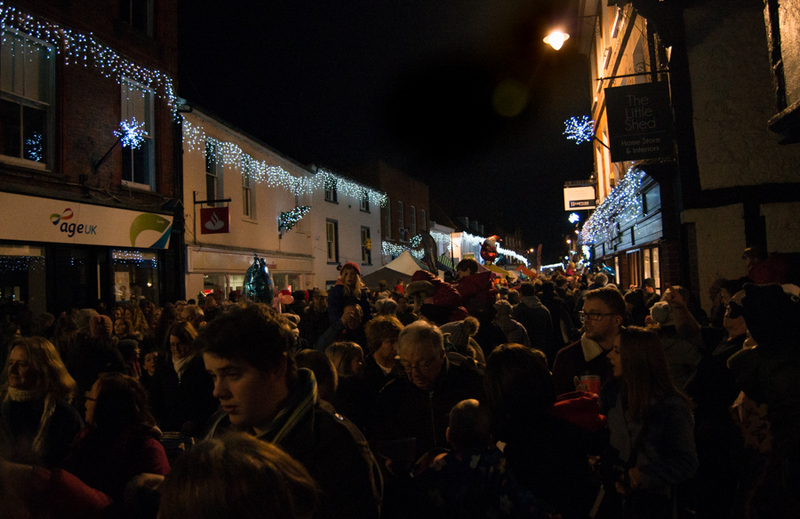 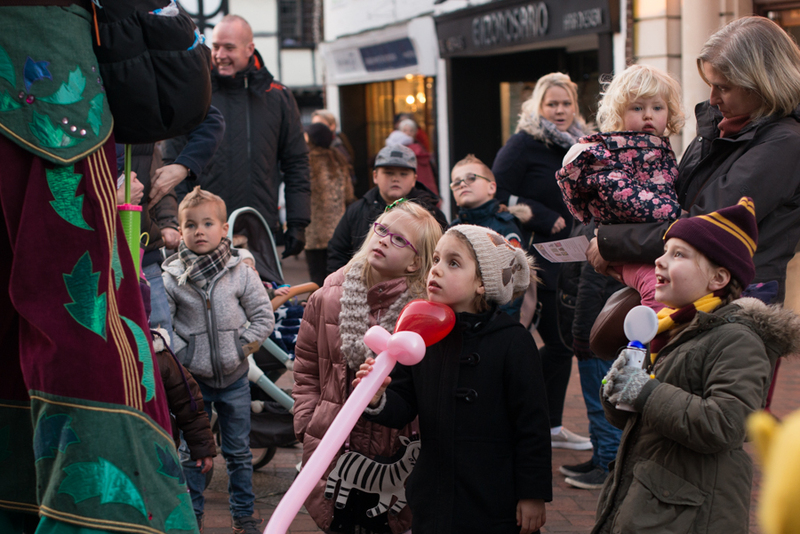 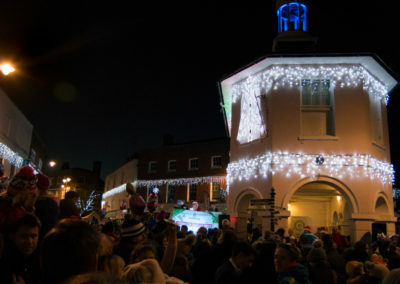 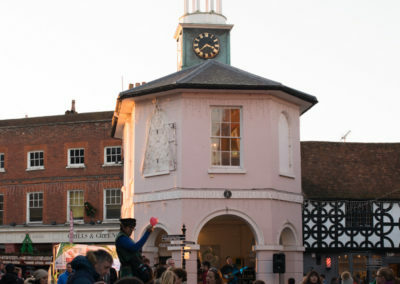 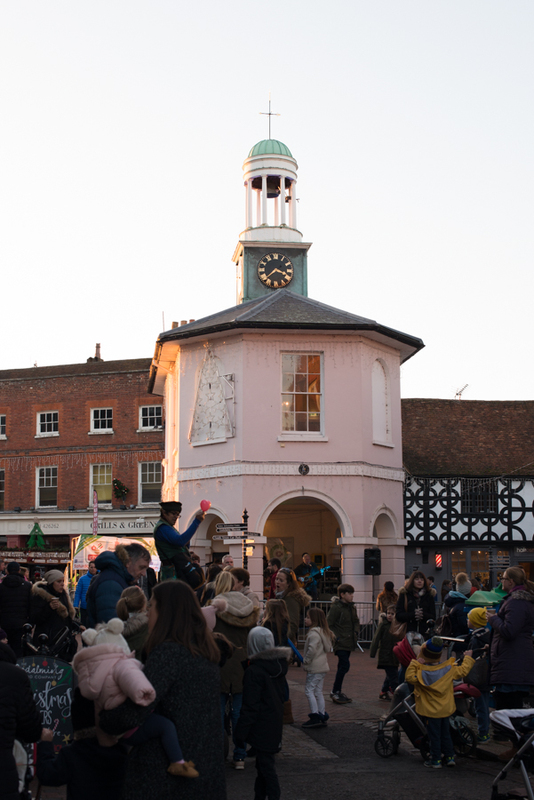 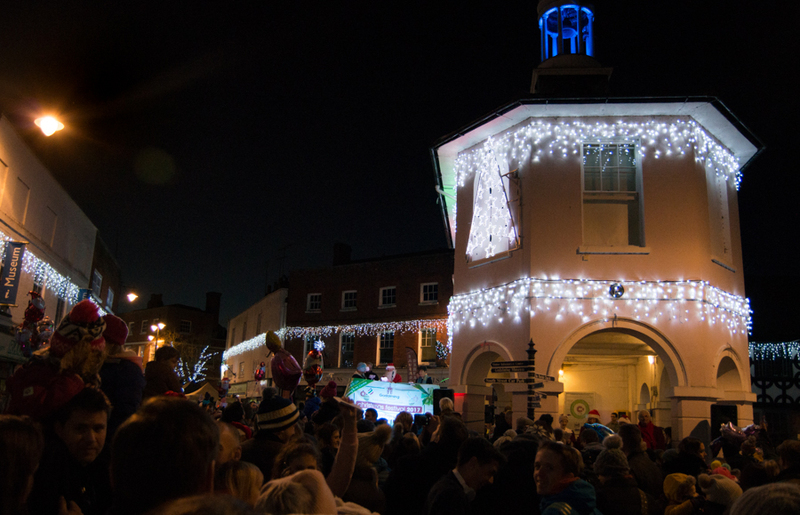 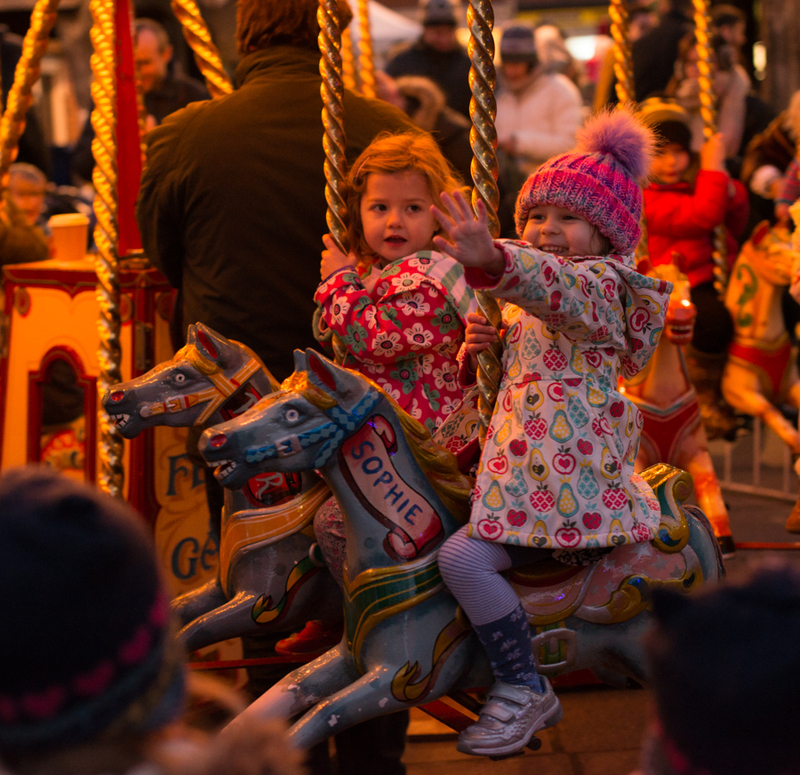 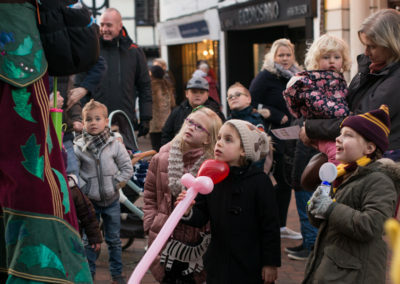 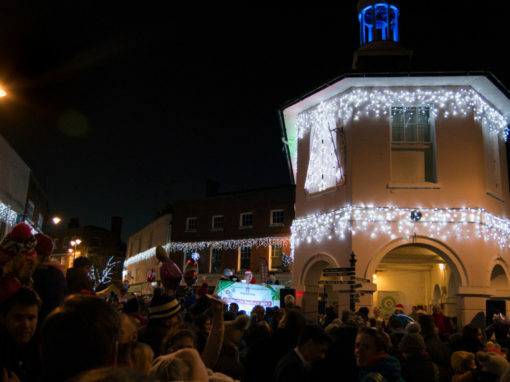 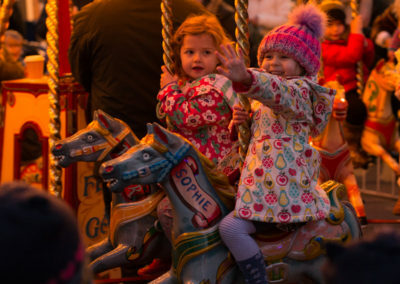 Just before 5 pm everyone gathered under the historic Pepperpot where excited children counted down to the Christmas lights switch-on. 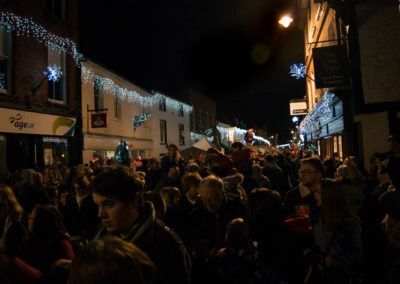 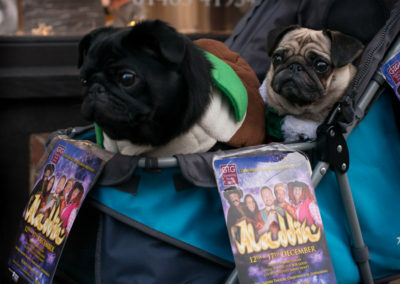 They were beautiful as always and realty made the town look magical.